AL HOL CAMP, Syria: She left the Netherlands to join the Daesh group in Syria, and married a fighter here. He was killed, so she married another, who got her pregnant before he was killed, too. 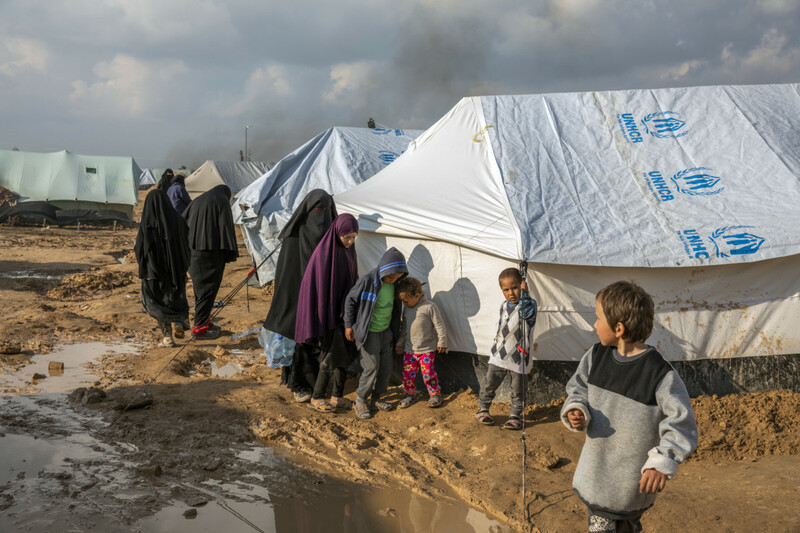 Then this month, as the extremist group collapsed, she surrendered with her son to US-backed forces and landed in the sprawling Al Hol tent camp, which has swollen to the breaking point with the human remnants of the so-called caliphate. “I just want to go back to a normal life,” said Jeanetta Yahani, 34, as her son Ahmad, 3, clung to her leg and shook with a violent cough. The announcement a week ago that Daesh had lost its final patch of territory in Syria was a milestone in the battle against the world’s most fearsome terrorist network. But it also raised urgent questions about what to do with the tens of thousands of people who had flocked to join the extremists from around the world and now have nowhere else to go. Al Hol, a sprawling, isolated conglomeration of tents on rocky soil surrounded by a chain-link fence and armed guards, held about 9,000 people in December. As the extremist group’s final territories fell, its population swelled to more than 72,000. On a rare visit to the foreigners’ section of the camp Thursday, a team of New York Times journalists found a miserable international tableau of lost women and children. Along muddy, trash-strewn lanes between rows of white tents, we heard groups of women chatting in English, Russian, French, Dutch and Chinese. We saw blond- and black-haired children playing together in the mud. 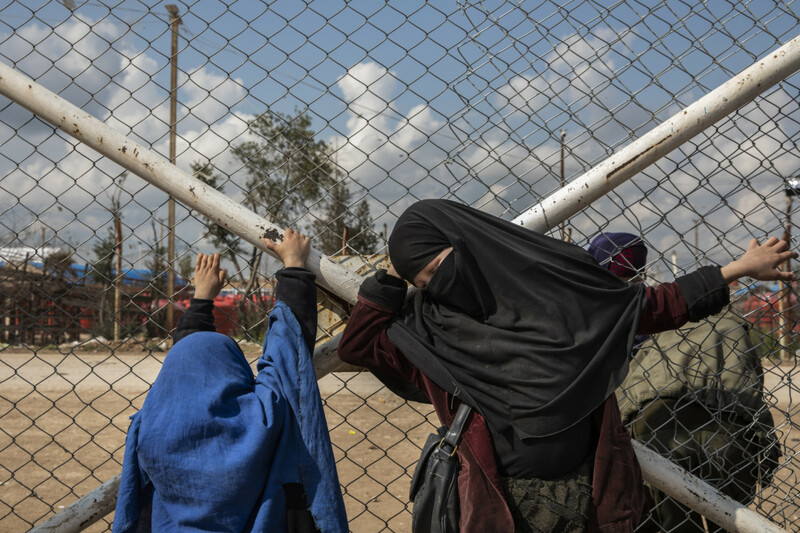 Although Daesh no longer controls the vast territory that that once stretched across Iraq and Syria, the women in the camp still followed its rules, wearing black gowns and face veils with slits for their eyes. 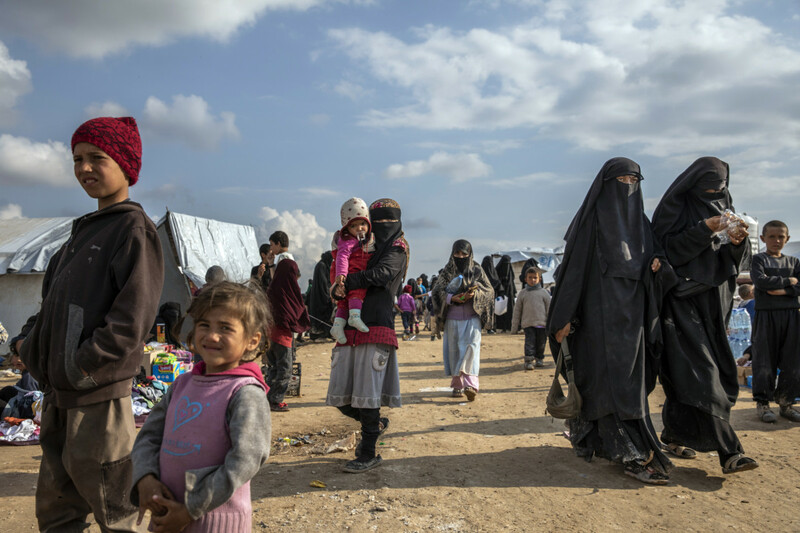 Along with tens of thousands of Syrians and Iraqis, the Syria camps hold 12,000 foreign women and children, according to Redur Xelil, a senior official with the Syrian Democratic Forces, the US-backed militia that fought the jihadis. The force also holds more than 8,000 fighters, including 1,000 foreigners, in its prisons. A handful of places, including France, Russia and Chechnya, have taken back tiny numbers of their citizens, mostly women, children and orphans. But most of the home countries do not want the caliphate’s former residents back, so they are stuck here, in a stateless, unstable territory. The local administration lacks the resources to deal with them and worries that the paucity of international support could help the extremist group reconstitute itself. 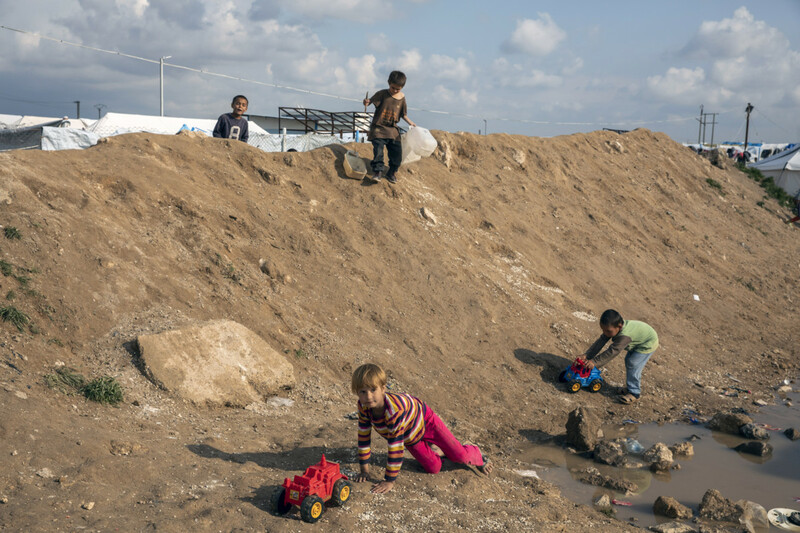 “There is little support, little response,” said Mohammad Bashir, a camp administrator. This week, local officials called for the creation of an international court to try foreign fighters, but the idea has garnered little international support, and the Syrian government would probably block it. More than 9,000 of Al Hol’s residents are foreigners who are kept in a special section, which I visited with a photographer Thursday. Some women still clung to the group’s ideology. “There were brothers who believed in Sharia, and it was not like this,” she said, pointing disapprovingly at two female aid workers wearing pants. The woman’s husband was killed in an air strike on Daesh’s final pocket this month, she said, but she did not think the group’s project was over. “Our brothers are everywhere, in Germany, in Russia, in America — we believe that Al Dawla Al Islamia will come back,” she said, using the group’s Arabic name. Her husband brought them to Syria in 2014, and the couple divorced soon after, leaving her struggling to care for her son. “I was like a whore in the Dawla,” said Su, 45. She had married four men, she said, each on the condition that they let her keep her son. When the extremists tried to force him to fight, she dressed him as a woman and fled, but Kurdish forces arrested him when they discovered the ruse, she said. Now, she had no idea where he is. Children make up about two-thirds of Al Hol’s residents. Some are orphans. Many described in detail and with little emotion how their fathers had been killed. All had witnessed violence, and some had been taught to practise it. 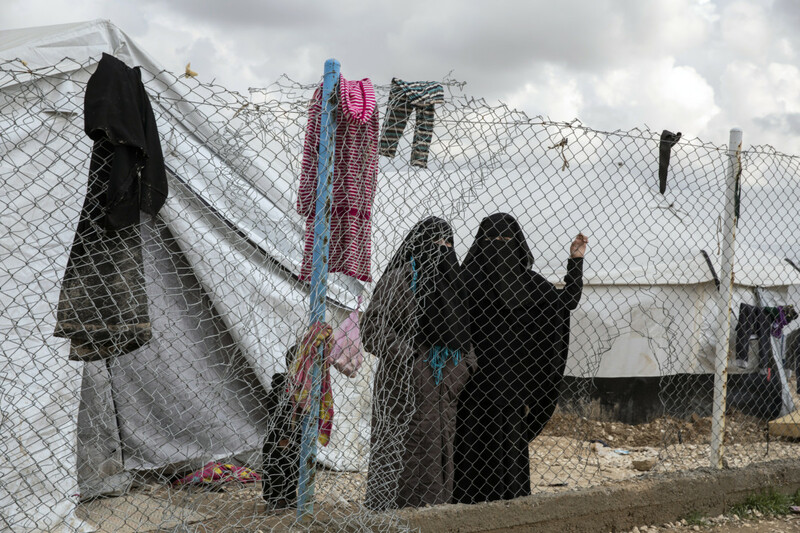 Camp officials say they are too busy scrambling to provide tents and food to offer schooling or other activities, much less to deal with people’s psychological problems or to re-educate children trained by the extremists. The challenge is intensified because some parents still endorse the group’s ideology.